Today is our longest travel day of the trip. Since Annecy is in the mountains we had to backtrack to Lyon then change trains to Nice. I love Europe’s transportation system. It’s easy to hop on a train and travel to multiple different places. A luxury I wish we had back in the states. We woke up super early and grabbed some breakfast before our 8am train. Le Mercure Annecy was a great hotel. The staff was nice, breakfast was good, and the rooms were nice and clean. Even though there was no AC the cool weather made it comfortable at night with the window open. I have to mention the biscuits we bought from La Cure Gourmande in Annecy. They were absolutely delish and a perfect snack for long hours on the train. The country side on our way to Nice was incredible. Town after town you see mountains with ancient medieval castles at the very top surrounded by old cities. It’s like something straight from a fairytale. The strangest thing was seeing these medieval cities set amongst modern towns like Avignon. There’s so much history everywhere, yet there’s so much graffiti as well. It’s a strange mix of the different centuries blended together. 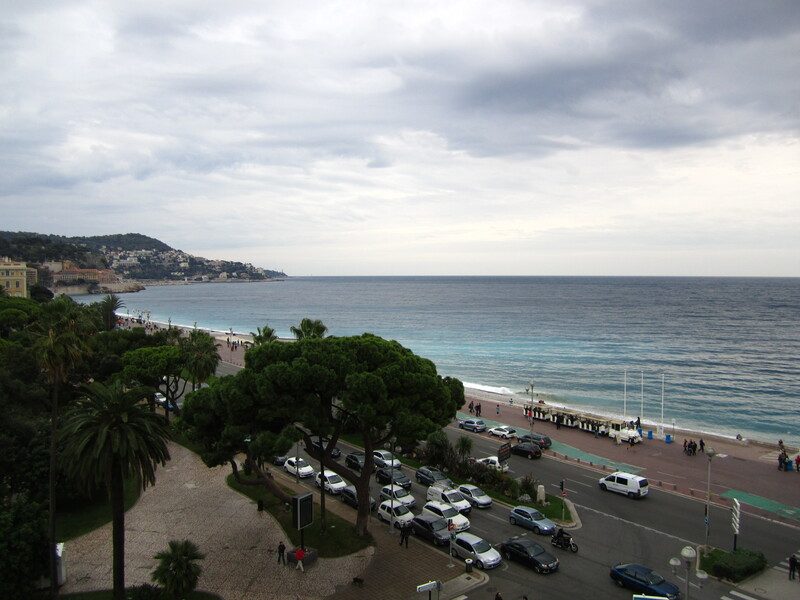 We arrived in Nice around 3pm to cool and overcast weather. We’re staying at Le Meridian hotel right on the Promenade Anglais. Even with overcast skies the ocean water is mesmerizing. We checked in to our room with a gorgeous view of the gardens and water. We didn’t waste any time dropping off our stuff and heading out to explore the town. Our hotel is right on the cusp of what they consider new versus old town. The new town area was built quite a bit later then the old town established centuries ago. 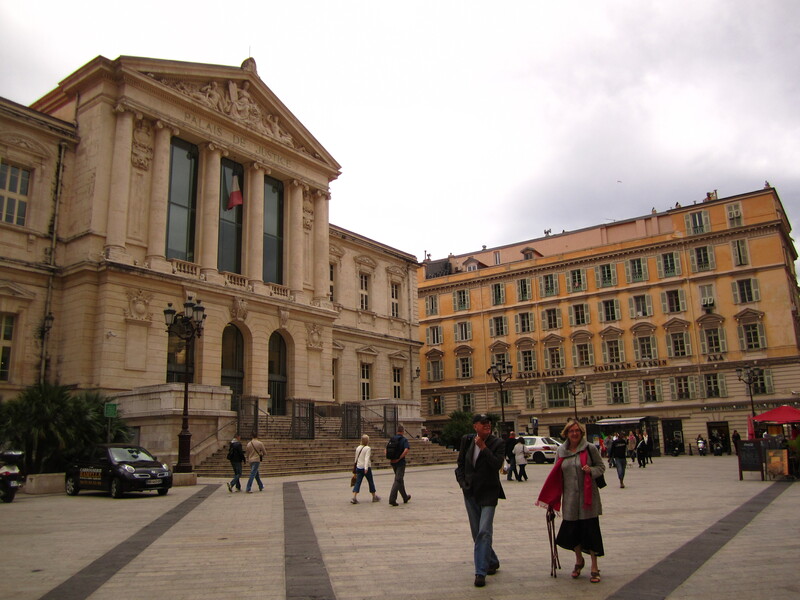 It’s definitely the place to shop in Nice with every kind of luxury store a girl could want. We ventured in to Old Town and stopped at a Brasserie in the square. Surprisingly we haven’t seen much French Onion soup on the trip so when we saw it on the menu we had to give it a try. Immediately we could tell by the difference in the menu that the cuisine in Nice isn’t the same traditional cuisine you would see in Beaune or Annecy. It’s heavily influenced by the Greek and Italian. A bottle of wine later and some yummy soup we headed to the Promenade. The weather was so nice and cool. The rocky beaches made it a bit more difficult to walk, especially in boots, but the cool ocean breeze was so refreshing. I can’t wait to explore the city this week! A few hours later it started raining pretty hard so we stayed close to the hotel for dinner. Our concierge recommended a quaint restaurant down the street for some Italian food. Dinner was exactly what we needed. The pasta was simple and delicious. 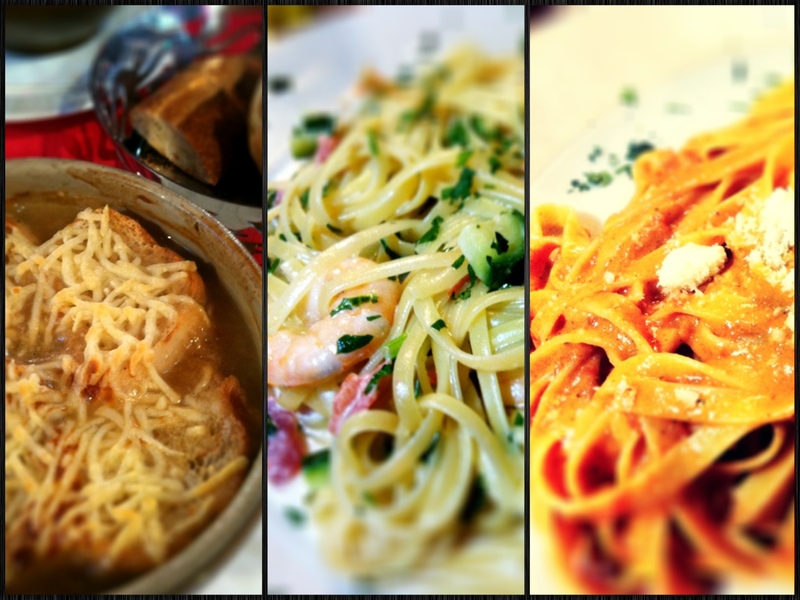 Matt’s tagliatelle was like eating tomato basil soup soaked pasta…so comforting. My linguini was decedent and creamy yet surprisingly fresh and light. We enjoyed our pasta and wine then headed to a local pub for one last drink. The rain picked up quite a bit so hopefully tomorrow will bring some better weather. 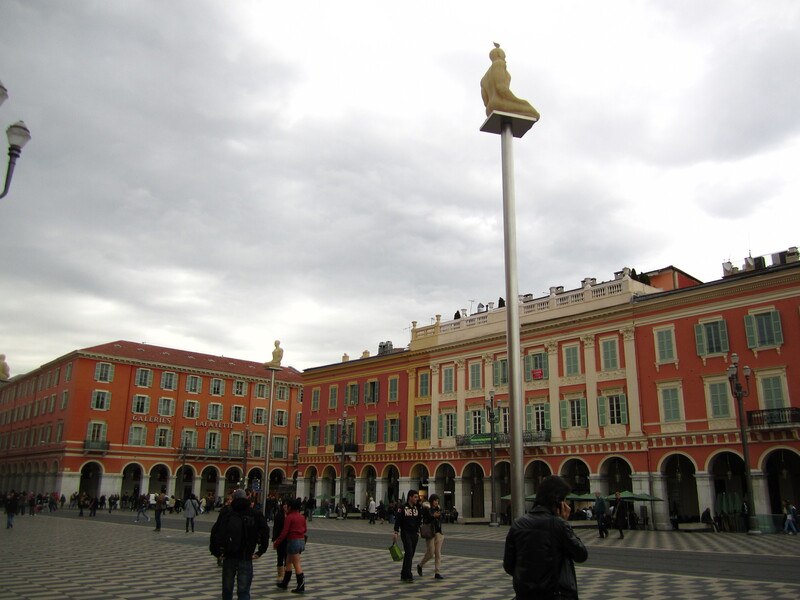 Tomorrow we’ll hang around Nice and check out the city…then on to Monaco!